Ginger roots, Comfrey, Feverfew herb, Bromelain from pineapple, zinc, L–tryptophan, Vitamin B6 and 12, Vitamin E, megadoses of Vitamin C in the form of calcium ascorbate, and castor oil are all effective in helping to reduce pain and the inflammation which results from rheumatoid arthritis. Many conventional medical drugs, used for treating rheumatoid arthritis, have proven to be either ineffective or harmful in the long run. In fact, some doctors maintain that there has never been a pharmaceutical drug which improves the condition of rheumatoid arthritis. Treat The Deficiencies and Detoxify: The best way to treat rheumatoid arthritis is to treat the deficiencies in the body, and by using natural methods to detoxify. As some doctors have said: There has never been found a pharmaceutical substance which has been proved necessary to the body’s function. But minerals, vitamins and proteins, etc, are all vital to life and to the preserving of health. These very drugs which were meant to prevent joint destruction and deformity either did not work, or they made the condition worse. After ten years, most patients had given up on their medications because of the unsatisfactory nature of these so-called ‘anti-rheumatic’ drugs. Why is it then that these ineffective or harmful drugs for treating rheumatoid arthritis were made available to us in the first place? Answer: Because the American FDA, who approve these drugs for the use of Americans, and everybody else in the world, it seems, accept the findings of research done by the pharmaceutical companies themselves. There is no neutral body which examines the findings of the pharmaceutical companies. Their word is taken as fact, which means that many potentially harmful drugs go onto the market without their having been tested properly, or because the research findings conveniently overlook the possible side-effects. This is why drugs come and go so frequently. Often they only go when the disastrous effects of using them becomes common knowledge. Fosamax is an interesting example of a drug still in use. Yet in America there are lawyers who solely dedicate their work to people claiming damages from the drug companies making this drug and others like it. There are ‘Fosamax’ lawyers!!!!! Natural Remedies are safer alternatives than most pharmaceutical drugs. The two most important remedies in my estimation are Ginger Roots and Vitamin C in the non-acidic form. And I would have to add Castor Oil as a third essential remedy for helping to cure the condition of rheumatoid arthritis. Ginger is one of the best known natural remedy for inflammation of any kind, including the inflammation from rheumatoid arthritis. 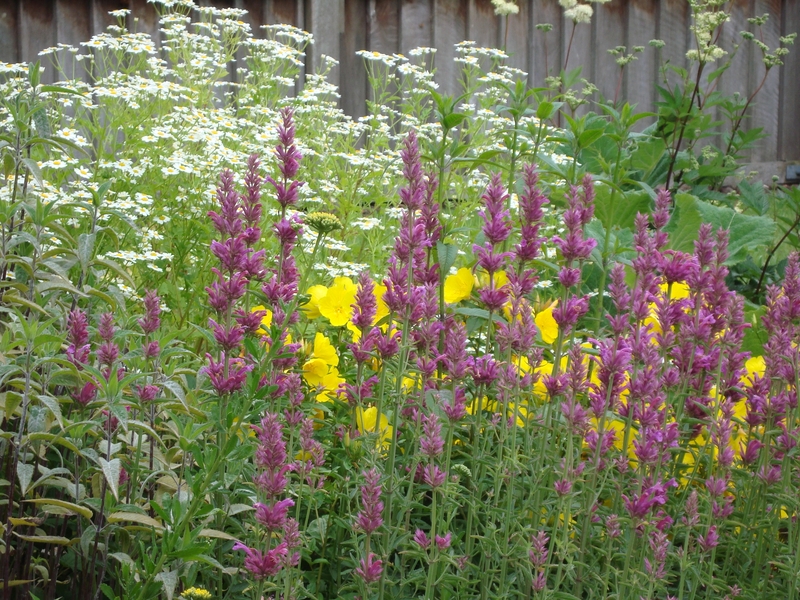 Dr Toni Jeffreys believes that it is a top-notch herb for this disease. Ginger is totally safe to use. It is good for the digestion, is a mild natural anti-biotic, and a natural blood-thinner. It is very useful for treating cancer as well as other degenerative diseases such as arthritis. Ginger is an anti-inflammatory and a pain reliever. According to Dr Toni Jeffreys, ginger is probably more likely to be effective in treating rheumatoid arthritis than any prescription drug you might take. The other important reason as to why you should consider ginger above pharmaceutical preparations, is that it will not cause any adverse side-effects, which may be the case with medical drugs. It can be used in powdered form, or the fresh ginger root can be grated and eaten or made into a tea. Take some after each meal, or have a cup of ginger root tea at each meal. Non-acidic vitamin C such as calcium ascorbate would be at the top of my list. Calcium ascorbate is easy on the stomach, since it has been neutralized and is not acidic. It aids digestion and helps to remove toxins from the body. This is important, because it will actually dissolve harmful toxins around and within the joints over time. Some people have had a reversal of their condition due to the fact that they took megadoses of calcium ascorbate over a period of time – say 6 months or longer. The other bonus from taking calcium ascorbate daily is that it is a mild pain reliever. Take 1000mg at night before you go to bed and you should sleep better than you have in a long while. Depending on the severity of the condition, I would take between 2000mg to 8000mg per day, in separate doses of 1000mg each. The idea would be to work up to the higher dose. Begin with 2000mg per day and build the dose up after a few days. Castor Oil: This also helps in reducing the inflammation and pain of rheumatoid arthritis. Using castor oil as part of his natural treatment, Dr Max Gerson cured many people of cancer and other degenerative conditions such as rheumatoid arthrits. Dr Gerson used 2 tablespoons every second day for treating cancer and other diseases. With this treatment, enemas must be used, and a diet of 80% or more raw foods and their juices are taken daily for a long time. See my other posts on how to take castor oil for cancer and other diseases. 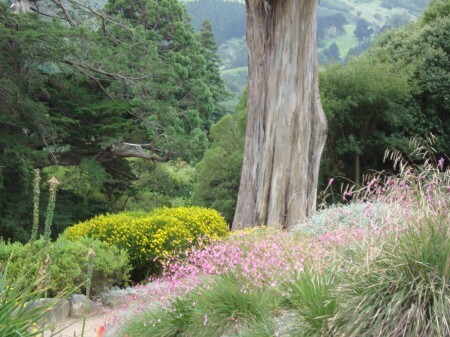 Photo Taken at Dunedin Botanic Gardens, NZ, by Merrilyn on Hollt’s Camera, December 26th 2012. All conditions of ill health are reversible. The main requisites in reversing illness are the belief that healing is possible, a committment to avoid the things and conditions which have caused the state of ill health, and the desire to include all the foods and herbs which will make you strong again, and which will help facilitate healing. Of course, the earlier that you can get onto a meaningful healing programme the better. 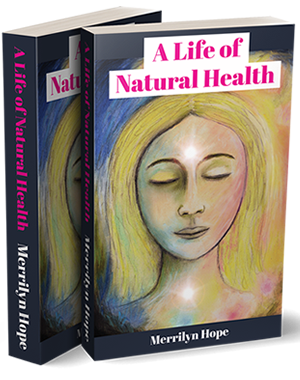 Diseases which have been tolerated for years and years can be difficult to reverse, and may take more energy and perseverance then what you are willing to devote to a new dietary programme. Some people are more happy to simply take the doctor’s medication and put up with the diseased condition, rather than put the effort into changing the diet and thinking positively about recovering. But it can be done. If you do succeed in reversing a chronic condition of ill-health, believe me, the rewards are very very bountiful. You not only cure the disease which is hampering your health and happiness, but you will find that your physical well being will increase so much so, that you once again will have that ability to be effective in the community, to help other people and your family. Important: Visit your naturopath or ayurvedic practitioner for advice on your planned change of diet and treatment before you attempt to heal yourself of arteriosclerosis. This is especially important if you are considering stopping any medication you may be taking. Herbs which improve the circulation are especially good for treating arteriosclerosis. Cholesterol lowering herbs and foods, and those which help to eliminate toxins from the blood, liver and intestines are also helpful. The following herbs listed below all help the circulation, help detoxify the liver and intestines, and they possess other therapeutic properties – all of which can help the arteriosclerosis sufferer. For a cure to be effected, though, it is important to look at the diet and remove the acid-forming foods as much as possible. An alkaline diet which has an abundance of fresh salad, with adequate protein, rice instead of wheat bread and other wheat products, and minimal or no dairy products and sugar, is the best in my estimation. Get some advice from your naturopath or ayurvedic practitioner before changing your diet, to ensure that you are using the very best foods for you. Also, do not use the following herbs or vitamins if you are already taking medication. Doctors often tell their patients to avoid certain foods whilst they are on a medication such as warfarin, or another blood thinner. This is because the foods they tell you to avoid are usually the ones that will naturally thin your blood anyway. So if you double up the effect by using the prescribed blood thinning drug AND natural herbal blood thinners in your food, you could get very very sick or even have a stroke. The sensible thing is really to use the food and herb items which work naturally to thin the blood, and do away with the artificial synthetic drugs which do the same thing. But drug companies have conditioned doctors into accepting this practice of putting patients onto medication for the rest of the patient’s life – they will give these patients a blood test every week or so, to test the effectiveness of the drug they prescribed, and adjust the dose accordingly. Yet they do not do the most sensible thing – prescribe the food items and herbs which will have the desired effect in lowering cholesterol, or in thinning the blood, and then test weekly or monthly to see how the patient is doing. They only do these blood tests if you are on their medication, which conditions the public into believing that there is no other way. Madness. Acupressure On Legs To Help Circulation: My friend Bernhard in Spirit has just given us some advice for a friend who came today to ask about natural treatments for her condition of arteriosclerosis. She has been taking Lipex, prescribed by her doctor, and this Lipex is having an adverse effect on her health. Bernhard gave us some alternatives, with acupressure points to massage nightly on the ankle and up the side of the lower legs, a couple around the knee, one behind the leg on the calf muscle, one at the back of the knee, and one on the upper thigh. Just three seconds on each point. Colour Therapy To Soothe and Nourish The Nerves: He also recommended sitting under a green light for 20 minutes each night before going to sleep. Note: She has already benefitted from the massage of acupressure points and the green light for 20 minutes. Her sleep has improved already from these two simple remedial measures. Avoid Synthetic Blankets and Clothing: Bernhard also said that it was important for my friend to sleep with WOOL blankets, and not to use any synthetic blankets or sheets on the bed. This makes sense, because synthetic fibres really interfere with the circulation of the blood, and so one must avoid wearing synthetics as much as possible, and one must certainly not use synthetic duvees or covers on the bed. Since you spend most of the night in your bed, it is important that your body be given the chance for the circulation to run as smoothly as possible without interference from electrical currents or synthetic fibres. It was particularly interesting to get this message, as my friend said after receiving this message that she had just taken off the woollen blankets for the summer, and replaced them with a synthetic duvee. My friend changed the bedding back to the natural wool which has also helped her sleep better. Important To Avoid All Alcohol, Marijuana, Caffeine and Other Drugs when beginning a cure for any chronic disease. Arteriosclerosis will not improve too much if you continue to take any of these things. I believe that many prescription drugs can give you arteriosclerosis, as well as party drugs, smoking cigarettes, and alcohol. Specific Herbs Foods and Vitamins for Treating Arteriosclerosis: Of course you will take only a selected few of these possible remedies. You can over-do these things, and so it is important that you visit a health professional such as a naturapath, homeopath, or ayurvedic practitioner for advice before beginning an alternative treatment for arteriosclerosis. Calcium Ascorbate Vitamin C – 1000 mg once or twice a day depending on the severity of the condition you are treating. Reduce the dose if the bowels are working overtime. But it is a good thing to clear out the bowels initially, before reducing the dose. Poisons in the intestines are the root cause of any disease, so the saying goes. Vitamin C has the power to break down calcified deposits and heal the capilliaries. Taking calcium ascorbate or Ester C are good options when you need to take larger doses of Vitamin C, as these are non-acidic and do not affect the digestion adversely. Vitamin C helps to prevent heart attack and stroke – It is a natural blood thinner and acutally strengthens the capilliary walls. It helps to remove cholesterol. It helps to negate poisons and remove them quickly from the blood stream, liver and intestines. If it is used regularly as part of treatment, it helps to break down deposits anywhere in the body, whether it be in the veins, the liver, or other organs. Capsicum – All members of the pepper family, which means fresh sweet peppers, bell peppers, fresh or dried chilli peppers, powdered cayenne pepper, powdered paprika pepper. Peppers are just the best for improving the circulation. Celery – Raw celery used daily is very good. Try to get organically grown celery if you can. Celery seed can be used as a condiment or made into tea with thyme, rosemary or lemon balm. Chaparral (Larrea divaricata): Chaparral is a powerful antioxidant and cleansing herb. It is used in many alternative cancer treatments to break up tumours of all kinds. 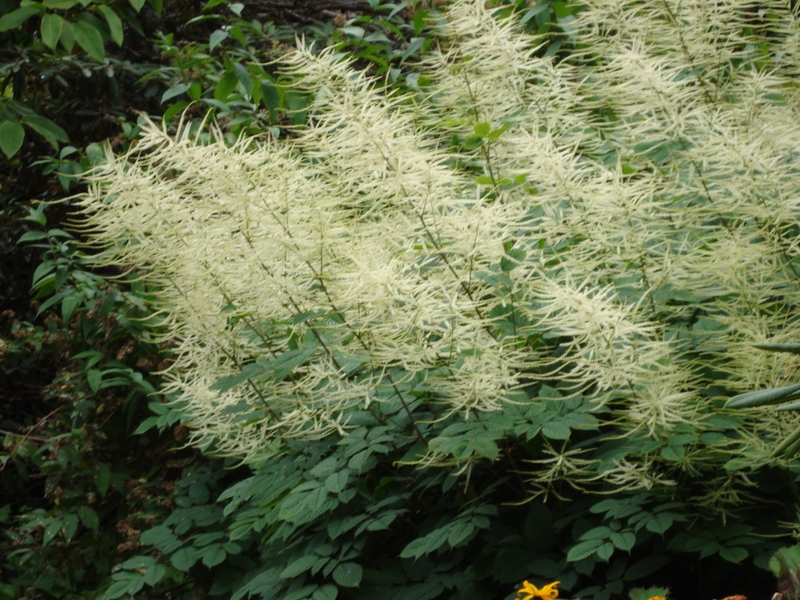 Chaparral also acts as a pain killer, and has antibiotic and antiseptic qualities. It is a very useful herb to remove drug residues and deposits, such as LSD and marijuana, from people’s livers and brain tissues. Louise Tenney claims that it has been used to counteract the effects of LSD. Chicory – Cichorium intybus. A good herb to help the condition of arteriosclerosis. Like Dandelion, Chicory can be used as a substitute for coffee. It is rich in Vitamins A, C, B, K and P. It is a great cleanser of the blood and the kidneys. It helps rheumatic conditions, arthritis, gout, and sore joints. It is thought to help gall-stones to dissolve. Fenugreek: Fenugreek is a common component of Indian cooking. It is a valuable cleansing herb which is capable of dissolving build-ups of calcium and other material in the blood vessels or anywhere in the body. It is commonly used in natural treatments for cancer and other life-threatening diseases in combination with other remedies. One report on-line states that 3/4 cup of fenugreek daily, taken for 20 days, has helped cure some people of arteriosclerosis. This is quite a lot, and I would assume you would take it in divided doses throughout the day. However, we are not told what else these people were doing to assist the cure, if anything at all. And we are not told how far the disease had progressed – perhaps these people had not had the disease for too long, in which case it would have been fairly easy to reverse. If you were taking this much fenugreek, you would not need any other herbs to compliment the fenugreek, in my opinion. I should think that this treatment would be most effective if a diet of alkaline fruits and vegetables were eaten during the period of cleansing, with no meat or dairy foods or wheat for the 20 day period. I would follow a complete vegetarian diet using vegetables and brown rice, with complete avoidance of sugar, bread, wheat and dairy foods. And enemas to help quickly eliminate those poisons always hurries up the healing process. But ASK YOUR HEALTH PROFESSIONAL FOR ADVICE before beginning the intensive fenugreek treatment. Fenugreek is safe to take in moderation as an addition to the normal daily diet, of course. From two capsules to six capsules a day is considered a moderate dose. Note: A friend of mine is currently doing the Fenugreek cleansing treatment in combination with 1000mg to 2000mg calcium ascorbate Vitamin C per day. She is munching through 3/4 cup soaked Fenugreek seeds per day, which have got to the sprouting stage after soaking. 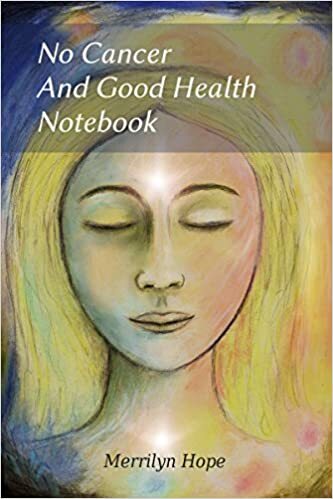 She stopped taking the prescribed Lipex medication which was causing headaches, poor memory and other things, and is now feeling a lot better on the Fenugreek plus Vitamin C in the form of calcium ascorbate. She eats salads with every meal and is vegetarian but uses yoghurt and cheese and chick peas for extra protein. I find that, having experimented with the Fenugreek, that you need to UP your calcium intake in your food if you are taking large amounts of Fenugreek to dissolve deposits in the veins, liver or kidneys. Fenugreek dissolves calcium deposits in the blood but can leave you a bit short of dietary calcium. But calcium supplements are best avoided – take a bit more cooked cabbage, which is very high in natural calcium, free range egg yolks, or organic milk or cheese if it agrees with you – or SESAME SEEDS which are the highest vegetable calcium source. The calcium in your food will counteract the tendency for the Fenugreek to whip away too much calcium from your body. Treat it as you would rhubarb, which does the same thing – include calcium rich proteins with it so that calcium is not depleted. DO SEE YOUR DOCTOR OR NATUROPATH BEFORE BEGINNING ANY NEW TREATMENT OR STOPPING YOUR MEDICATION. GENERALLY SPEAKING, YOU CANNOT USE PRESCRIPTION MEDICINES AND NATURAL CURES TOGETHER AS THIS IS DOUBLING UP ON TREATMENT AND COULD BE DANGEROUS – I AM NOT ADVISING YOU FOLLOW THESE TREATMENTS WITHOUT PROFESSIONAL ADVICE. Ginger – Use dried ginger in cooking, and freshly grated ginger or powdered ginger to make tea. One teaspoon of fresh grated ginger with a cup of boiling water added is a very good digestive which also helps the circulation. Hawthorne This is one of the most popular herbal remedies for arteriosclerosis, high blood pressure and as a general heart tonic. It is mildly sedative and has a favourable effect on all manner of heart troubles. However, do not take it if you are already taking some medication for your illness. Consult your doctor or naturopath first to see if Hawthorne can be added to your dietary regime. Rutin: This has a similar beneficial effect to Vitamin C on the circulatory system. 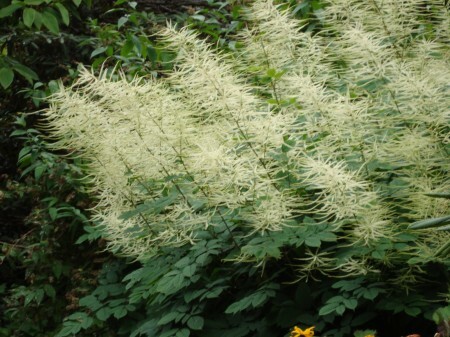 It helps to heal and strengthen the capilliary walls and to encourage better circulation. Taheebo (Pau d’Arco): This is another cancer herb which acts as an antibiotic. This is one of the best remedies for treating candida and chemical poisoning. It helps break down deposits and tumours and kills viruses, and is excellent for building up the immune system. Louise Tenney says in her 1980’s book that it is used in some South American hospitals to treat infections. Medicinal Herbs: Thankyou to Charlie, who wrote in asking about Black Walnut as a restorative herb for tooth enamel. Photo taken at Dunedin Botanical Gardens by Merrilyn on Holly’s camera. Restorative Diets such as those used for cancer, arthritis, multiple sclerosis and other diseases, have proven successful in many cases, for restoring tooth enamel. Often, people have discovered that their teeth have repaired themselves whilst following a strict dietary and cleansing regime to treat eczema, psoriasis, or a life-threatening disease. However, there are some specifics which are helpful in keeping tooth enamel healthy, and even in repairing tooth enamel. Black Walnut is one of them. Comfrey is another. Prickly Ash is another. Nettles, called ‘Stinging Nettles’ are another. So what is it about the Black Walnut, the Juglans nigra, which gives it such a great reputation for facilitating healing, including the regrowth of tooth enamel? Louise Tenney who wrote the book ‘Today’s Herbal Health’, 1983, gives a summary of the healing attributes of the Black Walnut, in which she includes its ability to heal tooth enamel. Valuable Minerals in Black Walnut: For a start, Black Walnut Husks and Leaves are rich in important healing minerals. Some of these, according to Louise Tenney, are organic iodine, magnesium, manganese, Vitamin B15, silica, iron, calcium, potassium and phosphorous. Iodine, especially, is a natural anti-bacterial, which would make Black Walnut helpful for the teeth. Iodine helps to keep harmful germs in the mouth at bay. So the use of Black Walnut and other herbs which have a high organic iodine content, will help to kill off those germs which eat away at the teeth. In this sense, Black Walnut would be very helpful for the restoration of the tooth enamel. Silica is another important mineral which helps to keep harmful germs at bay, as well as having an important function in building strong teeth, bones, hair and nails. Silica is found in the Black Walnut husks and leaves, as well as in Comfrey, Stinging Nettles, and Prickly Ash. Comfrey is one of the richest sources of silica, which is a good enough reason to have the plant brought back for the general public to use again: At present, many countries have banned comfrey because the drug companies have convinced governments that it can cause cancer and should be banned. But this is really so that they have the monopoly on all the healing ingredients contained in comfrey. People have been using comfrey as a healing herb TO GOOD EFFECT for thousands of years. Stinging nettles are another rich source of silica, but commercial herbicides and people’s desire to control our road-side verges have almost put this vauluable healing plant into extinction. Avoid Chemcials including Food Additives: Of course, it is not enough to simply use Black Walnut tincture, or another iodine product, on a daily basis. For Black Walnut tincture to be effective on the teeth, you would need to have a nutritious diet, with plenty of protein, green vegetables, and plenty of raw salad material to keep the teeth clean and the saliva alkaline. The same goes for using Comfrey in the diet, or Nettles, or Prickly Ash rubbed onto the gums and teeth – You need to be following a sound and healthy diet, rich in green vegetables both raw and cooked, with adequate protein, and little or no sugary foods, for the teeth to restore themselves. You also need to avoid any harmful chemicals such as those food additives which are put into all sorts of packaged food these days. Even breads contain preservative, which are very bad for the teeth as well as the general physical, mental and emotional states of well-being. Cleansing With Castor Oil: Periods of cleansing, where raw foods are eaten for a day, or several days, depending on the advice of your health practitioner, can be helpful in removing toxins from the body. Ridding the body of toxic chemicals, and avoiding contact with chemicals, can help the general health as well as the health of the teeth. Jacqui Davison was following the cancer-cure outlined by Dr Max Gerson, who cured many people of cancer during his life-time. Castor Oil was one of the most important ingredients of his cancer cure. Dr Gerson’s diet for reversing cancer also healed the tooth enamel on Jacqui’s teeth. However, it must be remembered that Jacqui followed this diet with its rigorous cleansing procedures, for almost a year before she realized that her teeth had repaired themselves. Healing of the teeth takes as long as it takes to heal an invasive cancer, and it requires the same amount of vigilant effort. Synthetic Vitamin C does really have an important role to play. I think it is a valuable thing to keep in the house for those times of emergency, when no medical help is available. It can be used to avert infection in many cases. Ear infections often respond to large doses of Vitamin C, as well as a booster of Halibut liver oil, containing Vitamin A and D. Colds and flu often respond to a boost of Vitamin C, and a little help with Halibut liver oil. Large amounts of intravenous Vitamin C has been used to combat such serious conditions as swine flu. Deficiency of Vitamin C can occur when people do not eat enough fresh fruit and vegetables. This commonly results in a condition called scurvy, which is basically a break-down of the connective tissue. Eczema and other skin conditions sometimes result from a lack of Vitamin C in the diet. Lack of Vitamin C in your diet can result in the cartilages becoming weaker, as well as the bones becoming more brittle and fragile. This can make you more prone to injuries of the ligaments, and fractures. For Maintaining Good Health: Nothing beats having plenty or fresh fruit and vegetables in the diet, which are rich in natural Vitamin C.
Vitamin C To Treat Disease: Many people take intravenous Vitamin C, or simply large doses of calcium ascorbate powder, or Ester C, which are non-acidic forms of Vitamin C, to help combat cancer, arthritis, multiple sclerosis, parkinson’s disease, and other degenerative disease. Natural Vitamin C is so essential in preventing and treating serious disease. All diets should consist of raw fruit and vegetables to help keep disease and sicknesses at bay. Vitamin C is such an important element for keeping good health, and for curing sickness, and this is why raw food diets, or diets which incorporate a large quantity of freshly pressed raw vegetable and fruit juices are used in the nutritional treatment of cancer and other disease. Vitamin C is an antioxidant which means that it has the power to negate and remove many of those poisons in the body which have caused diseases like cancer to set in. I have just come across an article put in the paper by Matakana Superfoods, who are in New Zealand. They say that most of the world’s synthetic Vitamin C is now produced in China, which might make some products dubious in quality. Their recommendation is to take natural Vitamin C which has been produced organically. Natural organic Vitamin C which is commonly derived from fruits such as apples, blackcurrant, cranberry, kiwifruit, strawberry, orange, lemon, lime, is going to be easier for your body to assimilate than synthetic Vitamin C, because it is natural. Also, there are other important agents, and enzymes found in natural fruits, and Vitamin C obtained from those fruits, which are not found in synthetic Vitamin C. These other naturally occurring nutrients and phytochemicals have a synergistic effect on each other, providing more health benefits to the body than the synthetic counterpart. Camu Camu is one of the most recent additions to the list of natural Vitamin C’s. This is a fruit which is grown in the Amazon region. It is reputed to have the highest amount of Vitamin C of any fruit known, so this article says. Camu Camu is very rich in phytochemicals. Matakana Superfoods are selling a natural Vitamin C which is derived from the Camu Camu fruit. I have just had a comment from Becca who is attempting to improve her teeth with diet. Here is a summary for Becca and for anyone else interested in working on diet to help the condition of the teeth. It takes a while to regrow tooth enamel, so you have to be prepared to follow the programme for at least 6 months. My child’s tooth enamel repaired itself after 9 months on such a programme. My friend who came for advice about her diseased gums recovered completely after only 3 months on the diet. However, in this case, the tooth enamel itself was not the problem, but her diseased gums: She was told by a dental specialist that she would lose all of her teeth if she did not have them all removed one by one and scraped. Each tooth was going to cost $5,000 to fix. After three months of putting all her energies into the diet and getting well, she went back to the dentist to show him the result. He said that there couldn’t have been anything wrong with her teeth if she had got better by diet alone, even though it was HIS diagnosis that said she had an incurable gum disease in the first place. Of course, there are multiple ways in which you can improve the health of your gums and strengthen tooth enamel. Here is just one suggested method, which is similar to that method which we followed. Remove sugar, dairy foods and wheat altogether. Avoiding gluten is important. Stay Gluten Free: Instead of wheat pasta and bread, use brown rice. Avoid vinegar and other fermented foods. No alcohol. No sauces such as tomato sauce, or soy sauce. It is important to avoid fermented foods, as well as gluten, dairy and sugar, because these foods feed candida, or yeast infection. Candida albicans is the source of many problems with health, including poor gums and teeth. EAT LOTS OF RAW CELERY and CARROTS; The other key factor in regrowing your tooth enamel and improving the health of your gums is to eat lots of RAW CELERY and CARROTS. End each meal with these. This improves digestion, as well as the health of the teeth. KEEP THE MOUTH ALKALINE: Chew a stick of celery after each meal to keep the mouth alkaline. Celery is a natural germicide and antibiotic which will keep those tooth-eating beasties in check. Celery will help to discourage those damaging bacteria which cause decay. Celery is well known for its ability to help build strong bones: It helps to build strong teeth as well. Celery is a high fiber alkaline food. Eating raw celery and carrots too, helps to provide plenty of fiber for your digestion. Your intestines will be cleansed by eating these raw foods, which means that they will process your foods more efficiently. Eat as much of your food raw as you can. Begin sprouting mung beans and alfalfa at home. Mung bean sprouts and alfalfa sprouts are especially alkaline. These clean the teeth as well, keep the mouth alkaline, and provide more fiber for the bowel. All protein foods are OK. Eating meat will not do your teeth any harm as long as you eat enough alkaline salads and cooked greens to go with it. Generally speaking, high quality protein is good for those on anti candida diets. Protein eaten with raw foods will help your teeth to grow. If you are vegetarian, then make sure your protein is adequate: supplement with plenty of sprouts, nuts and seeds and pulses. Organic free range eggs are excellent. Try to eat two free range egg yolks each day. This is very nourishing for the body and easy on the digestion. You can include these with your olive oil dressing for your salad, or put them into a smoothie such as a banana smoothie with almonds, sesame or sunflower seeds. Two raw egg yolks per day is recommended for vegetarians especially. Use plenty of sesame seeds and sunflower seeds, and coconut milk, especially if you are on a vegetarian diet. These are all very high in calcium and essential fatty acids. All raw and cooked vegetables are good. Always eat something raw with every meal. It takes a while to notice the effects of such a programme, especially to regrow tooth enamel. If you really put the effort into following this diet, and faithfully exclude wheat, dairy, sugar, and yeasts, then you should see some positive results on your general health after about three months. If you were to continue on for another 6 months beyond that, you should see your tooth enamel beginning to repair itself. Calcium Ascorbate Powder: This is a non-acidic form of Vitamin C which helps keep the body alkaline. It also kills bacteria and works as a potent digestive which maximizes your vitamin and mineral intake from the food you eat. It helps to detoxify the body. Calcium Ascorbate was used in treating my friend’s gum problem. My family also used this quite frequently, which would have helped my child to regrow tooth enamel. You need to take at least 1000 mg once or twice per day. Castor Oil Treatment: People on cancer diets who have regrown their tooth enamel have used castor oil as part of their treatment. I think that taking castor oil even once a week will have a beneficial effect on your teeth. However, if the person is young, or healthy, with a strong recuperative power, regrowing tooth enamel can be done without castor oil.